Directions: Take St. Rt 125 from Cherry Grove towards Amelia. Located to the left as you enter the village limits of Amelia. Easy access and you may park half on the gravel drive and grass – if you wish to visit the grounds. Pictures and additional inscriptions taken by Pamela Smith, CCGS member, in the Spring of 2010. Vera Quehl, a volunteer helped me, one evening, turn and dig a few buried monuments – thank you Vera! 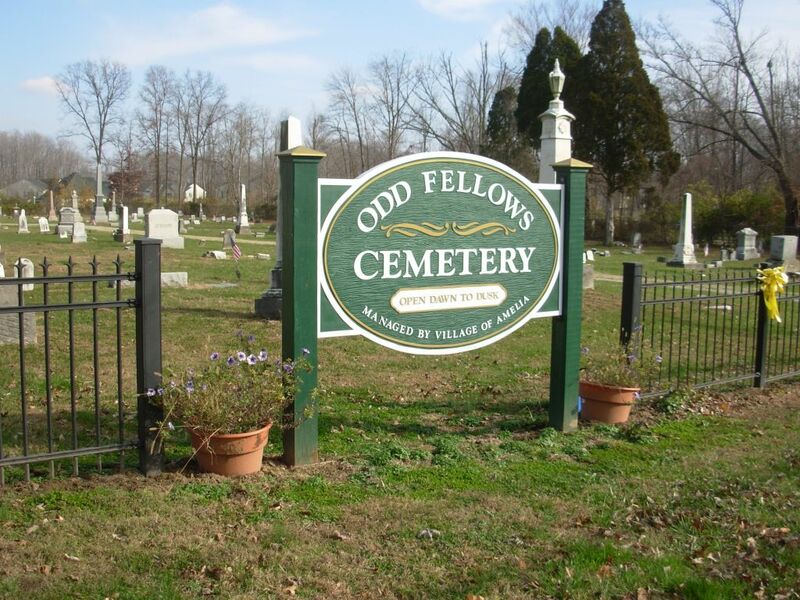 Very enjoyable cemetery. I found this cemetery to be in great shape. A few monuments are down but it looks as though the shifting earth has cause this and not necessarily vandalism. We were able to turn a few. A lot of veterans buried here.